Judging the best multitool pliers for fishing has been something of a lifelong challenge. This lifelong passion for fishing has led me to many amazing places over the years. Mountain streams, lowland marshes, small farm ponds, big freshwater lakes and deep sea fishing. During these adventures, I have naturally acquired a vast collection of different types of equipment for variable fishing conditions and for targeting specific species. I have also gained knowledge about practical survival skills which have been invaluable when cut off from the conveniences of modern society. An important aspect of this knowledge is that no matter what equipment you possess, it can only be operated successfully if combined with a certain set of acquired skills. At different times of my fishing career, I have focussed on different types of fishing, with fly fishing for wild mountain trout on freestone rivers and bass fishing in streams and lakes being paramount as far as freshwater species are concerned. Planning a fishing trip into the mountains for a couple of days (which includes lots of hiking and living outdoors) really tests one’s capacity to only include the bare essentials required for a fairly comfortable and enjoyable experience. However, the last decade or so I have focussed almost exclusively on reef fishing for saltwater species in False Bay, South Africa which obviously demands quite a different set of strategies and equipment. Donning a wetsuit and battling currents and waves to get to the best fishing spots requires an angler to not only be in pretty good physical condition but to also carry the bare minimum of fishing equipment all of which, bar your fishing rod, has to be firmly attached to your body. That’s where having the best multitool pliers for fishing can come in supremely handy. The assistance of a multitool is essential. In the vast majority of circumstances, they can adequately perform the various tasks required and take up a fraction of the space and weight in your backpack. Even though its separate parts aren’t normally on the same standard as say a hacksaw, a pair of wire cutters or a sturdy pair of pliers, it makes infinitely more sense to pack a good quality multitool. Over the years I have trialled many of the available options to see which multitools cover most of my personal requirements when fishing. In my opinion, the following four multitools represent the best multitool pliers for fishing on the market. Not only because they possess the basic tools required when on your own in the wild, but because they also pass my own personal tests of functionality and durability. Gerber is well-known for the quality of their products, whether they are tools or blades. They are tough and very easy to handle. This item has a stainless steel grip and consists of twelve different tools which are integrated into this lightweight, open frame. Other novel features are the safety lockers which keeps the tools locked open while someone is using them. If you like this product, then you can check out the price here at amazon. When discussing multitools the Leatherman will obviously become part of the discussion pretty rapidly! This specific item has been out with me fishing on countless occasions. On top of that, it boasts a multitude of functions. It also has a built-in lanyard which allows users to avoid losing it if you accidentally drop the tool. The multitool is packed full of different uses and is a superb addition to your fishing kit. 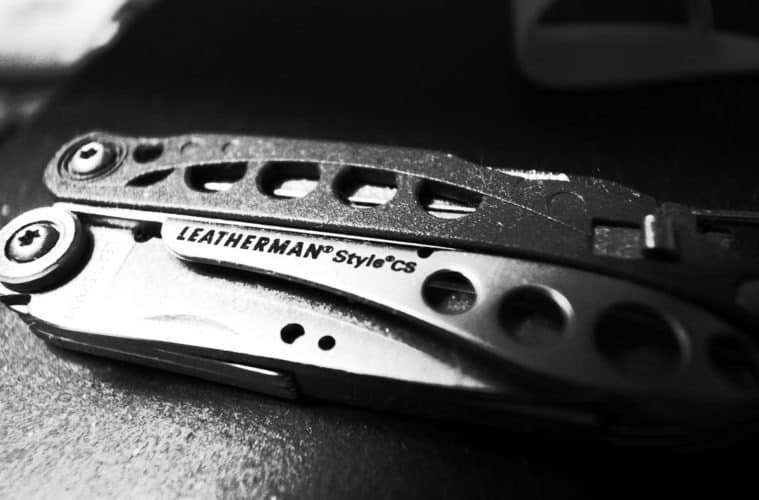 In my opinion, it is the best leatherman for fishing for the money. It features a lock that fixes every tool in place when it’s folded away. You can, therefore, rest assured that none of the other tools will open up on you while you are using a specific tool. This superb stainless steel multitool has 16 different tools attached. The heavy duty tools are reliable in many fishing scenarios. It gives single handed access to tools and blades along with an engineered ergonomic and durable design. When it comes to finally deciding which of the aforementioned items to purchase, the decision can become quite daunting in view of the fact that the potential buyer is confronted by such a variety of choices, especially if he/she wants to buy something that is reliable, durable and able to perform to expectations. I am of the opinion that these five different multitools adequately fulfil our criteria and will definitely not turn out to be a disappointment to prospective buyers. Like most things in life, however, choices eventually boil down to personal preference, especially when the differences in functionality, the superiority of design and quality of materials are marginal. Whatever choice you make, I am pretty sure you will not be disappointed. Which of the items do you think are the most useful? Which are the most intelligent? What do you think are the best multitool pliers for fishing? Let us know in the comments below.